In the far south of Le Marche, this capital city has a real medieval feel, perhaps due to the Roman layout of the town, which was built over the original settlement of Asculum Picenum. The old town centre is dominated by the wonderful Bell Towers, and there are fine examples of Romanesque, Medieval and Renaissance architecture to be found. 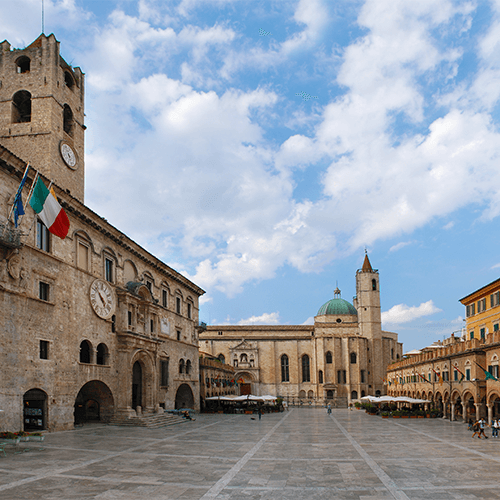 Ascoli Piceno revels in its history, and it is the site of one of Italy’s most extravagant historical performances, the Quintana, which takes place every year–it’s the place to be if you want to witness traditional jousting.